Apologies for the long delay, but we’re finally back with our next installment of gaming goodness. There were a lot of great releases in March and I unfortunately couldn’t fit them all here. However, I’ve culled the list to what I consider to be the best and most interesting releases of the month. I’ve also decided not to waste space here with bad games. From here on out, if a particular game doesn’t make the list, you *might* want to think twice about it. If you think there’s anything we missed or something that deserves mention, by all means give us a shout in the comments! 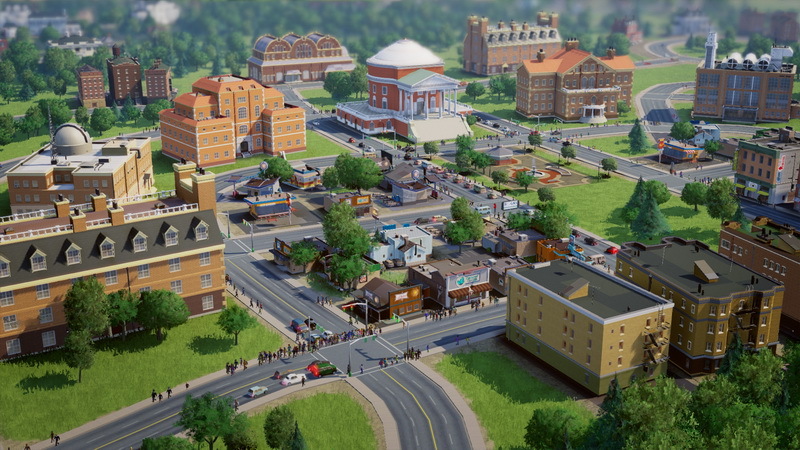 The month starts with a little controversy courtesy of the new SimCity. In its first week, the game was damn near unplayable due to its always online nature and its massive popularity. Apparently EA was not expecting the hit in traffic when the game launched and suffered for it. Thankfully, the dust has settled and we are left with Maxis’ return to the franchise. Now, if you’re a fan of the old games, you may be disappointed in this new version. The developers have geared the game for a more social experience where you cooperate with neighboring cities. There are a number of pre-built regions and each region has specific plots of land set aside for your cities. Everything about each plot is predetermined in terms of geography and resources available to you, limiting how much you can do. The idea being that the other cities in your region will have the remaining resources that you need and you all cooperate as an interdependent whole. Of course if that isn’t appealing to you, there’s always the option to nab all the cities in the region, but then you’d have to manage multiple cities. The other drawback to all this are the cities are noticeably smaller than what you might be used to in previous SimCity games. If you’re new to the franchise, this probably isn’t a big deal. As it stands the game is pretty solid and enjoyable experience. Though, I can’t help feeling it could have been much better under different circumstances. 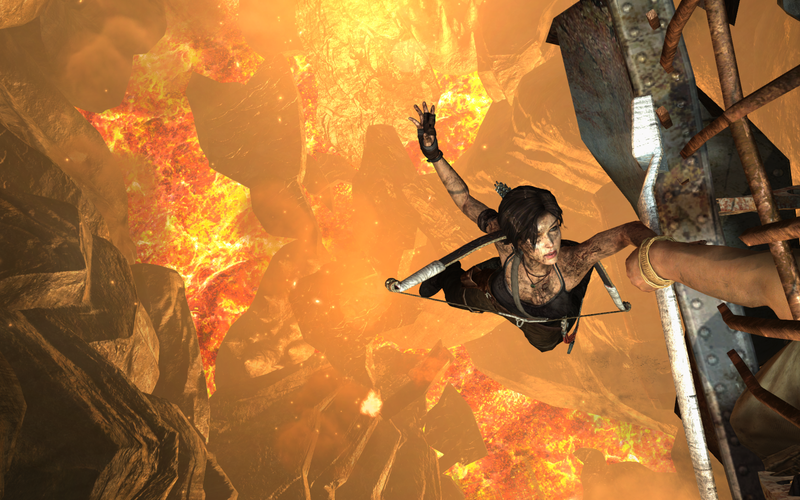 Crystal Dynamics continues refining the Tomb Raider franchise. This time they’ve gone for a complete reboot and created a new origin story for Lara Croft. Fresh out of archaeology school, Lara sets off on her first expedition. As expected, things go horribly wrong. Her ship is wrecked and Lara is separated from the rest of her crew, forcing her to survive alone in the wilderness of the island and fight to escape capture from some of the nastier inhabitants. In addition to starting over story-wise, they’ve also tweaked the game structure from the linear level design of the older games, to a more open, explorable environment akin to the Metroid games or Batman: Arkham Asylum. Lara will find new items and abilities, granting her access to areas she could not reach before. One other cool feature, albeit very minor, is the auto cover mechanic. I haven’t seen a game do this before, but Lara will automatically duck behind cover when she’s close to it. No more pressing a button to dive into cover and guess whether you’ll be safe or not. I’m personally very excited to get my hands on this. I’ve never been much of a Tomb Raider fan, but this reboot looks to be the best realization of Lara yet. Three years have passed since Blizzard released the sequel to what must be the most played RTS (real-time strategy) in history. Originally StarCraft II was to be split into three parts, each coming out a year apart. Obviously not all has gone according to plan, but Blizzard is one of those few companies that can afford to take their time. 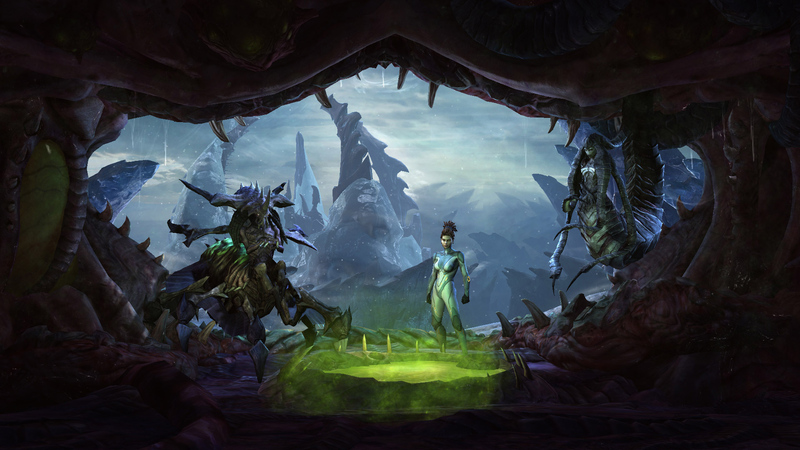 The campaign for Heart of the Swarm focuses on the Zerg faction and Kerrigan’s storyline. Picking up where Wings of Liberty (part one of the StarCraft II trilogy) left off, Kerrigan continues on her quest for revenge and tries to regain control of the Zerg swarm. The campaign weighs in at just over 20 missions with optional quests that grant you different evolution paths for your swarm. Not to mention the world renowned multiplayer that is constantly being reworked to keep the game competitive. They’ve even added more training tools to help new players get accustomed to the game and matchmaking that pits you against equally skilled players. The sequel we’ve been waiting for! Not too long ago, Nintendo proclaimed 2013 as the year of Luigi. They properly kick off this year with the follow-up to Luigi’s first solo game. Equipped with the trusty Poltergust 5000 (think backpack vacuum cleaner), Luigi gets back to reluctantly sucking up ghosts. Before he can catch these ghosts though, he needs to stun them with his flashlight. Once they’re dazed, he wrestles them with his vacuum until they’re weak enough to be captured. Meanwhile you’re also guiding Luigi through the mansion solving puzzles and collecting pieces of the titular Dark Moon. The game sounds simple on paper, but it just oozes with Nintendo’s trademark charm. 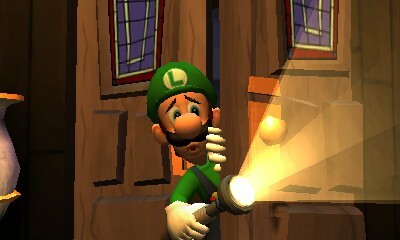 Luigi is still as terrified as ever as the reluctant hero, and it’s weirdly endearing. He also has my favorite idle animation where he’ll start humming along to the music of his own game! I’m really considering buying a 3DS just for this game. I could surely use some more light-hearted gaming in my life. And now for the pièce de résistance. Ken Levine and co. over at Irrational Games have done the impossible and delivered a worthy follow up to their previous hit, BioShock. Much like that game, Irrational has crafted an entirely well developed world in the sky city of Columbia. The story follows Booker Dewitt on his mission to rescue a girl who’s being held on Columbia. He soon finds her and must escape with her in tow. The bulk of the game centers on the player’s relationship with Elizabeth and the growing conflict in the city between the elite ruling class, and the rebel commoners. Just exploring the environments can tell stories of the blatant racism that is happening here and there are still plenty of audio logs to find that help fill in the blanks as to what is going on within the city. 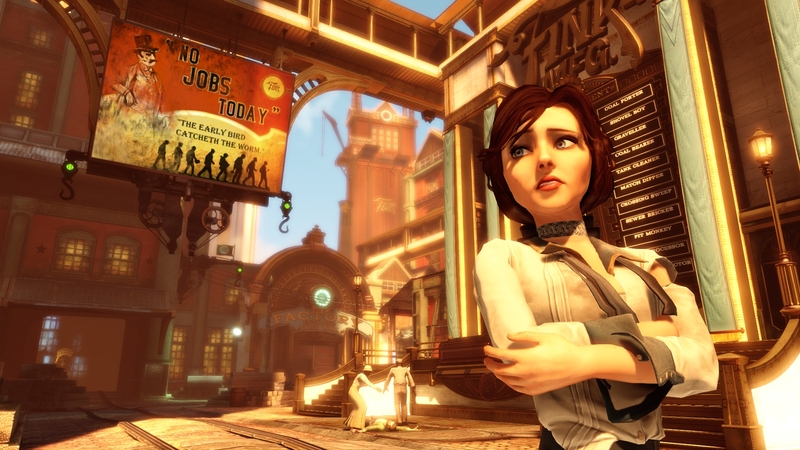 Gameplay should feel familiar if you’ve played any of the other BioShock games. Plasmids have been replaced with vigors, but basically work the same. You’re still shooting bad guys while combining your powers to take out enemies. The biggest addition to the combat scenarios are the wide open areas that give you access to the sky rail. Throughout the city, there is a rail system that you can jump onto at any time. Booker has a mechanical hook that he can use to grapple onto the rail and quickly move from one area to another. In combat, this provides a nice kinetic kick to the action, in addition to looking and feeling really cool. Elizabeth is also an active participant in the action as your capable AI partner. She has powers of her own that allow her to manipulate rifts in the space-time continuum that are ever present on Columbia. She also helps out by occasionally tossing you health items or ammo when needed. This is definitely a must play, and by all accounts an early contender for game of the year.